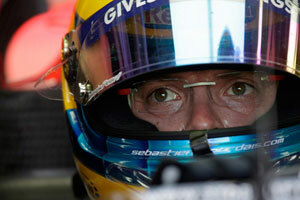 As we predicted last week, Sebastien Bourdais will stay with Scuderia Toro Rosso in 2009, partnering Sebastien Buemi. The announcement is entirely logical given that the team will benefit from Bourdais's experience and from a little technical stability. "It has been a very long and difficult winter, but now the waiting is finally over and I am really excited about tackling my second season with Scuderia Toro Rosso," he said. "I would like to thank Red Bull and Dietrich Mateschitz for this opportunity to continue with a team that made so much progress last year. Now, I can focus on preparing for the coming season. "It promises to be a very interesting one, thanks to all the rule changes and I'm also looking forward to establishing a good relationship with my new team-mate, Sebastien Buemi, to ensure both of us do the best possible job for the team and for Red Bull."